Peter Callaghan started performing stand up comedy in 2009. What started as a mid-life crisis stint is gradually developing into a pension plan, with over 300 gigs under his belt, weekend slots at Downstairs at the Kings Head and Headliners in Chiswick. 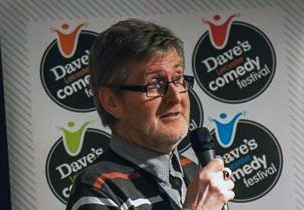 Winner of Silver Stand Up of the Year Award 2014 at Dave’s Leicester Comedy Festival for a “fantastic performance, full of brilliant one-liners”, Peter subsequently performed on ‘Old Folks Telling Jokes’ at Dave’s Leicester Comedy Festival. Semi finalist at the Laughing Horse competition 2012 and finalist in The Max Turner prize (2011).